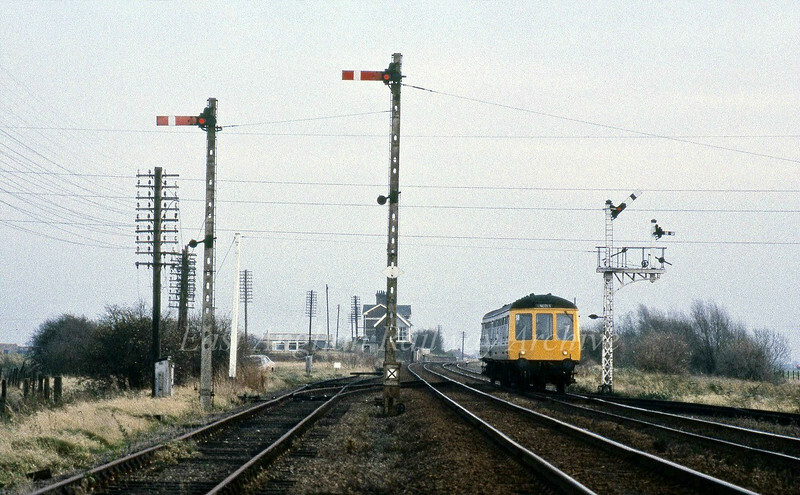 French Drove, facing March showing the Up and Down goods loop split signals. The Up loop exit signal is to the extreme left. The signal box and station can be seen in the background.